Finally, finally the 19th Amendment is passed with only one UPFA MP opposing. Perhaps he was true to what he was advocating while many others were chickening out, including the ‘law professor.’ There was an eleventh hour compromise on the Constitutional Council, but the government rightly did not budge on the appointment of Cabinet of Ministers. If the President kept all the powers to unilaterally appoint the cabinet of ministers, as the opposition wanted through their dubious amendment, then there was no much meaning of the 19th Amendment. The main purpose finally was to remove the draconian powers of the Presidency. The complete abolition required a referendum as the Supreme Court determined. That was beyond the promise or the mandate. The 19th Amendment itself was a learning process for democracy from the time it was mooted in the President Sirisena’s Common Candidate Manifesto subscribed by many political parties and civil society organizations. When it came to the drafting stage, there were many temptations to add or subtract things depending on political expediency. The pressure of time and divergent views on presidential vs parliamentary systems also gave rise to confusions. There were vacillations as much as intransigency. The main obstacles to its smooth passage came primarily from those who were directly and indirectly towing the line of the former president Mahinda Rajapaksa. Otherwise, according to the 100 Day program, the 19th Amendment could have seen the light of the day about two weeks back without much dilution. The 19th Amendment does not abolish the presidential system. Instead it transfers many of the executive powers to the Cabinet directly responsible to the Parliament. The responsibility of the President to the Parliament is also enhanced through the Cabinet and the Prime Minister. Therefore, the fundamental plank of the dictatorial JR Jayewardene constitution is now changed for the first time after 1978. It has also changed the Mahinda Rajapaksa constitution which enhanced the concentration of powers through the 18th Amendment without a term limit and also by abolishing the independent commissions. The people effectively defeated the attempt to continue in power for a third term by Rajapaksa/s on January 8th by unleashing a period of democratic change culminating in the passage of the 19th Amendment yesterday. The process will not end there. President’s Manifesto also talked about a change in the electoral system which could possibly be implemented before the next general elections. There are, however, several hurdles to overcome. Hereafter, a term of Parliament and the President limits to five years and not six years. This is in align with many democratic countries. The President also cannot dissolve parliament arbitrarily, until the expiration of four and half years. These are progressive democratic changes. With the passage of the 19th Amendment, the stigma of a ‘minority’ government also has ended. The present government now effectively is a ‘national’ government of the UNP and the majority SLFP also backed by a broader (executive) council of many parties and civil society organizations. This does not mean that the present government should continue. The present government is a transitional government. Even the present constitutional change is a transitional change. What might be necessary for a fundamental democratic change in the country is a New Constitution even aiming at resolving or paving the way for resolving the national question. However, this should be done without neglecting the economy or economic development. To achieve that objective, the next parliament should be a different one to the present free from corrupt, violent and communalist political representatives. It should and could function as a Constituent Assembly. The best way to achieve this objective is to change the electoral system in an interim manner, abolishing the preferential voting system and even introducing the constituencies (seats) as in the good old days, but without fundamentally altering the present proportional representation. As this kind of a system is not unfamiliar to the voters, there is no necessity for a long lead-time between the necessary 20th Amendment and the next elections. President Sirisena along with the Prime Minister Wickremasinghe have proved their capability of building up consensus (through some compromises) under most trying and difficult circumstances. Some of the compromises are not ideal. Some are even problematic. However, without those compromises, the overall realistic changes could not have come through given the prevailing circumstances. The existing parliament or most of its members are fundamentally opportunistic. They still live in the Rajapaksa era. Their mentality is archaic. Some of them directly wanted to bring back the ‘ancien regime.’ That regime was dictatorial, corrupt and deceiving of the people. The former puppet PM, DM Jayaratne did not have any qualms in saying that ‘an amount of dictatorship was/is necessary’ to run the country. He said that on the 27th, during the constitutional debate. The highly emotional speeches yesterday not only by WDJ Seneviratne or Bandula Gunewardena, but also of Dilan Perera, unfortunately were testimony to their close attachment to the ‘ancien regime.’ Finally, finally they voted for the 19th Amendment, revealing their absence of a backbone. Therefore, in essence it was a difficult task in an apparently a hostile parliament. We are still not completely aware of the final shape of the 19th Amendment. When it came to the committee stage, there were 63 amendments from the government itself, while the opposition proposing 111 in competition. The government eventually withdrew some of their amendments as a way of compromise, while the opposition did the same or compelled to do so. The President Maitripala Sirisena admirably influenced both sides for realistic compromises staying in his office in Parliament throughout the debate yesterday. Therefore, the final passage of the 19th Amendment was also a victory for his moderate policies and sober but firm democratic vision. 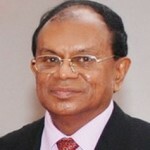 The key amendments on the part of the opposition were proposed by WDJ Seneviratne. Rajiva Wijesigha’s proposals were aiming at some improvements, I believe. 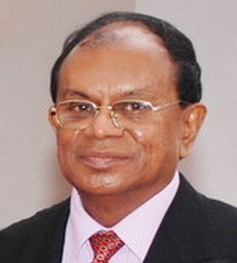 Perhaps Seneviratne was the scapegoat for the Rajapaksa project. Most strangely the ‘law professor’ who was ‘eloquently’ arguing against the fundamentals of the 19th Amendment from the beginning, did not propose any, perhaps feeling a cold feet or wanting to hide behind. The two main issues of contention until the eleventh hour were about the appointment of the Cabinet of Ministers and the composition of the Constitutional Council. If the main change anticipated in the constitutional system was about ‘a government emerging from the representative parliament,’ which popularly called a parliamentary system, then the appointment of ministers on the advice or with concurrence of the Prime Minister is a logical proposition. If there were reasonable doubts that the executive presidential system might turn into an executive prime ministerial system that was not the case since the complete abolition of the presidential system was not in the 19th Amendment which required a referendum. This was known even before the Supreme Court decision. Therefore, the objections on the part of the opposition were completely misplaced based on a political power game and/or visualizing constitutional principles in personal terms. On the question of the composition of the Constitutional Council, the opposition demand was quite self-centered, to make it completely a Parliamentary Committee of MPs (!) which betrays completely the objective of Independent Commissions and the independence of the services and institutions coming under them. If there were any concerns about the Constitutional Council becoming a self-serving bureaucratic or elitist entity, that was not the case since the Prime Minister, the Speaker and the Leader of the Opposition were members of the proposed Constitutional Council. As a compromise, having two MPs would have been enough without having four in addition to the three parliamentary officials. Unfortunately, the compromise has gone too far to possibly damage the independent and impartial character of the Constitutional Council. That is why the 19th Amendment is a partial victory. Nevertheless it is a great achievement and a victory for democratic forces given the prevailing circumstances and legacy or curse of the Rajapaksa rule. It is a learning experience which can inspire democratic forces for a forward movement. It is interim in nature and requires its blossoming in a more democratic and peoples centered New Constitution. That is why an interim electoral reforms might be necessary to have not only a more democratic New Parliament but also a democratic Constituent Assembly. Rajapaksa project is now effectively wounded and its spokespersons may try to console themselves by painting the compromises as a victory. Thanks for the objective, simple, sober, educated and educative analysis. I am sure the readership of CT will benefit much from your analysis. Like you, I also wish the 20th amendment is also enacted in an acceptable form and the next general election is conducted in accordance. We definitely need parliamentarians of much better quality. Firsr of All, we all need to thank President Matripala, Sirisena, Ranil Wickramasingha, and the Whole Team behind it, including CBK, Ven. 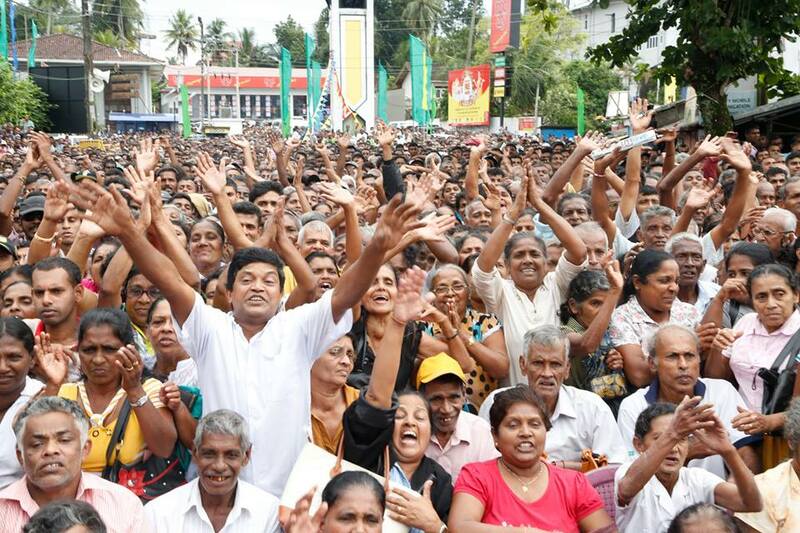 Sobitha Thero , the Civil Society and the 6.2 million Voters who elected the Common Candidate Mr. Matripala Sirisena. Thank you for your thoughts and analysis on 19A as passed. This was a historical moment for the Common Citizens of Sri Lanka. b. Have an I.Q. measured on a recognized international scale of 108 or above . (The Average IQ of Singapore). c. Have not been convicted of Corruption, Bribery or Fraud over the past 10 years. d. Have not been convicted of a major criminal the offense over the past 10 years. Anyway, Rome was not but is a day. Similarly, Sri Lanka will take some time to repair after Caligula Mahinda Rajapaksa. Anyway, Rome was not built is a day. Similarly, Sri Lanka will take some time to repair after Caligula Mahinda Rajapaksa, Mara “Palanaya”, Governance. Listen to what Field Marshal Sarath fonseka has to say. Quite interesting. Amere, FM SF speech was a good one ! Laksiri blowing hot and cold with the same breath. Hello prof. How can it be great for Democracy when the victory is partial? What happened to the other part? Do Professors indulge in partial work? Prof. Laksiri, your analysis is sound and professorial. Some people just do not understand and attack for the sake of attacking. /even though the dogs bark, the caravan must move on. You know what Realpolitik means? VP did not know it. So, he is no more. Both Mr. Maitreipala Sirisena and Mr. Ranil Wickramasingha have common sense, in a country full full of of Mootals, Modaya and Fools. Go and ask your mother if you did the high jumps before you started to crawl! There lies your answer. A rule of thumb that states that 80% of outcomes can be attributed to 20% of the causes for a given event. In business, the 80-20 rule is used to help managers identify problems and determine which operating factors are most important and should receive the most attention based on an efficient use of resources. Resources should be allocated to addressing the input factors have the most effect on a company’s final results. Thonda, go freddie uncle charlie king yourself. Passing the 19A with almost the entire accepting it is a great victory for our country and its people. May be this was not what was expected but with the given conditions under which this had to be handled this is a great achievement for our President Maithree and P.M. Ranil fo3 tgeir dedication action. The PTA by JR also should go for a democracy to step in. Written and presented in simple English.A clear exposition of the nuances of the 19th Amendment.This is a must read for all those interested in Good Governance. Frankly,how many of those MPP would have understood? As for Prof:G.L.Pieris I have posted elsewhere that he is the most perfect example of a Mountain stream flowing into mud! Despite all the hype about democracy, the main intent of this circus is to shift power away from the current SLFP president. The power must go somewhere, and somewhere there is a green party badly in need of power. No wonder UNPers are happy. Ask any UNPer. If Ranil was elected president, I am not sure they would be so eager to reduce his powers. It is a great achievement considering the nature of challenge and the constraints of parliamentary majority. Mahinda used his power of threat, violence, bribe and force to achieve 18th amendment just to create a selfish family kingdom. Maithiri used his power of honesty, kindness and love to achieve 19th amendment to create a justice nation for the people. God Bless him to use his courage to find a political solution to the national issue with the support of the people. with the Passing of 19 A , Mafia King and his siblings are in a total shock , as this their 2nd consecutive defeat , of course the first one being the 8 th Jan unprepared sudden loss of power , forget about not getting all the nitty gritty clauses of 19A , main objective is closing the door for Mafia king , Mafia family has been very busy in hatching a conspiracy theory to oust MY3 from the day one , they knew if and when MY3 had to vacate the Executive President position , game would be on their favour . just imagine if MY3 had fallen ill, impeached or assassinated , then the presidential contest would have been between MR and Ranil , whoever ,whatever said about MR , still large majority of masses prefer MR over Ranil ,certainly Mahinda would have another chance . point in case ,one of Namal’s body guard gate crashing in to MY3’s meeting with a firearm , rushing MY3 to hospital twice during the new year festival , bringing an impeachment and handing over to Chamal , these were all possibilities and no one can deny such scenarios , Mafia family knows very well ,there is only one way to escape from the wheel of justice , that is to grab the power one way or another , thank god , it’s gone now , Mafia king will never be able to become the president of this country ever again . next victory is both Basil and Gotabaya’s chances of becoming MPs have been shattered , 19A prohibits any one with dual citizenship from contesting elections , basically 19A is a Major victory for SL , after the General election we would be able to fine tune the constitution with all the nitty gritty details , but for now , this is indeed a major victory for us. It is too soon to celebrate or be complacent. We wouldn’t know what MR has up his sleeves or up his …. Those who met him recently believe he is confident as ever before with a mischievous twinkle in his eyes. 19A could be the first step in the right direction however it is only a first step. At least one door is closed for Mafia king , now he wouldn’t be able to contest another presidential election , as for his premiership dream , MY3 needs to fix him , how many cases are pending against him ? I wish to share this piece with readers of CT.
Dr.Wickremabahu Karunaratne PhD[cantab] now universaly known as Comrade Bahu was Lecturer-Engineering Mathematics at the Faculty of Engineering Peradeniya when JR introduced the Executive Presidency in 1978. As an active member of the then LSSP he organised a protest against this with Black flags and the University Administration interdicted him! Damn shame;Even the universities then were dancing to the tune of JR. After a few years he was reinstated,but he returned only to resign and since then he has been in fulltime Left politics with the NSSP. Had he remained at Peradeniya,he would have retired as Emeritus Prof:Engineering Mathematics. After 37 years of that protest by comrade Bahu, the country has almost abolished the Executive Presidency! What a sacrifice he made for a cause which saw the light of day only the other day. Comrade Bahu is a clear Mountain spring flowing into a clear stream! I fully endorse this comment. I am proud to have been a member of the UGC that reinstated him. Laksiri Fernando has clearly articulated his feelings after 19A was passed. It is pleasing that some progress has been made despite tremendous opposition. It was indeed strange that it was Vasudeva who proposed a Constitutional Council comprised solely of parliamentarians. So much for integrity! To me he will always be Vasideva from now on. Makes me think that despite all these Acts passed in Parliament, what Sri Lanka needs are good and honourable men. So few to be found. The author laments that the final version compromises the “independent and impartial character of the Constitutional Council” because it doesn’t provide for enough non MPs. Simply because someone doesn’t belong to a political party he or she is not necessarily independent, and there is no test to verify one’s independence. As for impartiality, it is something completely in the eye of the beholder. Personally I admire an independent thinker who is partial to his or her world view. In a representative democracy the people collectively elect a set of individuals to make political decisions on our behalf. We expect the inherent tension among these representatives together with institutional tension to help the process converge towards satisfactory outcomes. Take for example, how the Federal Communications Commission (FCC) is constituted and operates within America’s system of “checks and balances”. The president appoints commissioners for a fixed term, taking input from various sources. But the appointment has to be confirmed by the US senate. So the president would only appoint somebody that he is unofficially made to understand would be acceptable to the senate. The press also plays a part in shaping this process, with opinion makers weighing in. Finally, the legal system restricts excesses in FCC activities through the judiciary. So there is nothing inherently wrong in a constitutional council made solely of parliamentarians. The elected representatives should not have to outsource their responsibility to govern to so-called independent, eminent experts who we expect to be incorruptible. Are cross overs still permitted? This is not that victory democracy of Sri lanka. In fact is victory of USA, UK and Indian’s democracy and their values. Even Sri Lankan lost their native land. Will be soon country be occupy by Foreign powers.